HOST HOTEL: Hampton Inn, 245 London Bridge Road, Lake Havasu City, AZ 86403 (easy walking distance to Boat Show) 928-855-4071, mention Boat Show for special rate. 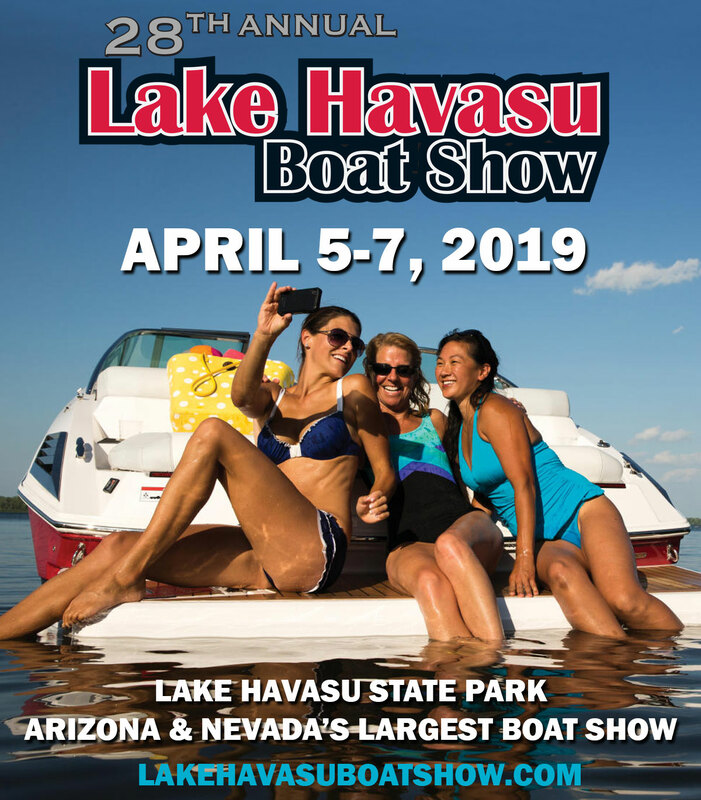 The Lake Havasu Boat Show has an established 28-year tradition of success in the recreational boating industry, started by members of the Lake Havasu Marine Association. Originally conceived as a boat show to help promote marine businesses in and around Lake Havasu City, today, the Lake Havasu Boat Show has grown and diversified to become one of the premier boat shows throughout the entire Southwest, and the largest outdoor consumer show for new and used boats in Arizona, California, Nevada and New Mexico. The Lake Havasu Boat Show attracts over 9,000 paid visitors, in excess of 150 exhibitors and more than $50 million in boats (over 65 different brands of new and used boats) and marine accessories including fishing boats, pontoons, family runabouts, wakeboard/ski boats, personal watercraft, jet boats, and the hottest high performance sportboats the country has to offer. And, thanks to a new launch ramp at Windsor 3 and adjacent parking lot, the 2019 Lake Havasu Boat Show will again feature boats and PWCs in-water/dockside. What a great opportunity to try out that new boat before you purchase. 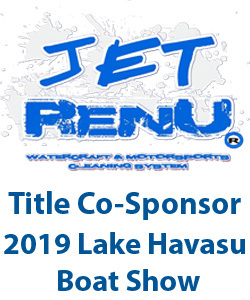 The Lake Havasu Boat Show is conducted in cooperation with the Lake Havasu Marine Association, and sponsored by Jet Renu and Mohave State Bank. PLEASE SUPPORT YOUR LOCAL LAKE HAVASU MARINE ASSOCIATION MEMBERS: MANUFACTURERS, RETAIL DEALERS AND SERVICE PROVIDERS WHENEVER YOU CAN. YOUR BUSINESS IS APPRECIATED. 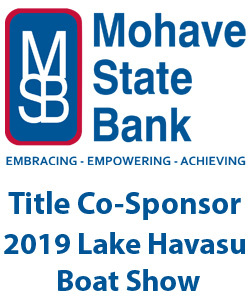 Start the Boat Show on Friday evening, April 5 at the Heat Hotel/Bar starting at 7:00pm for the Lake Havasu Boat Show “Meet & Greet” sponsored by Riverdavesplace.com. Drink specials, live music and dancing. All are welcome. In-Water Boats Dockside for Demo Rides (Fri., Sat, & Sun.) — Pontoons – wakesport boats – family sportboats.